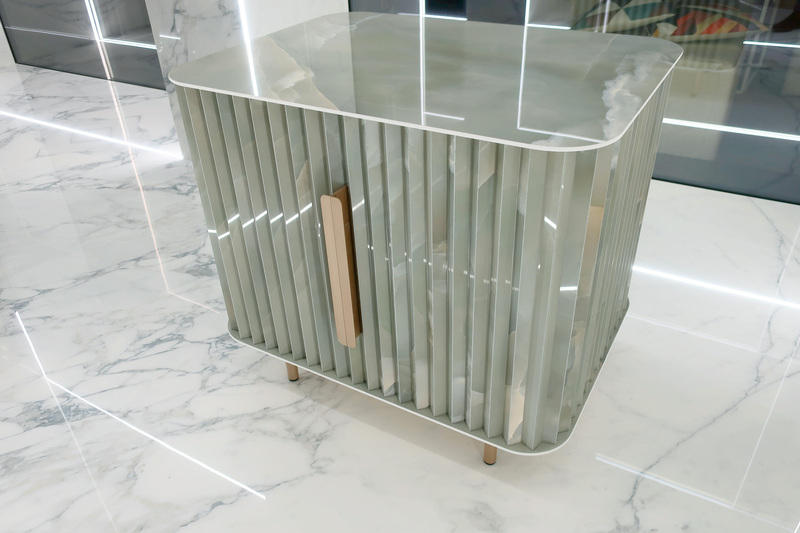 From luxurious interiors featuring bespoke, monolithic furniture to one-off pieces celebrating the artistry of the material, our clients are realising the most extraordinary and breathtaking concepts, all fabricated from porcelain. 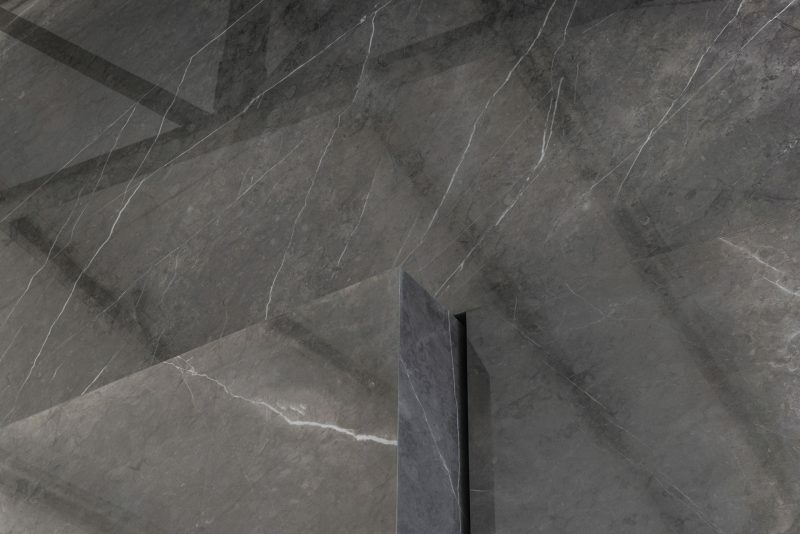 The latest technology has meant that 6 millimetre thickness porcelain can be cut, shaped, mitred or drilled to almost any size or pattern. 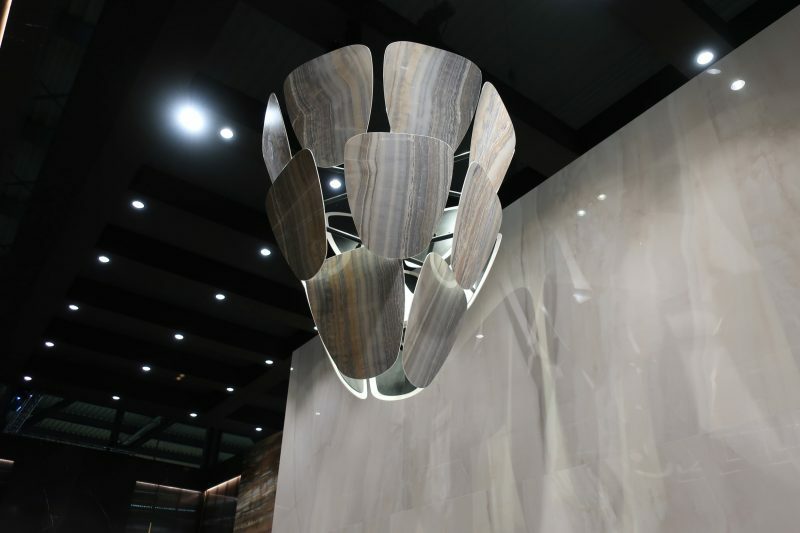 This has empowered designers to specify this innovative material for additional object-based surfaces and form entirely bespoke fabrications. 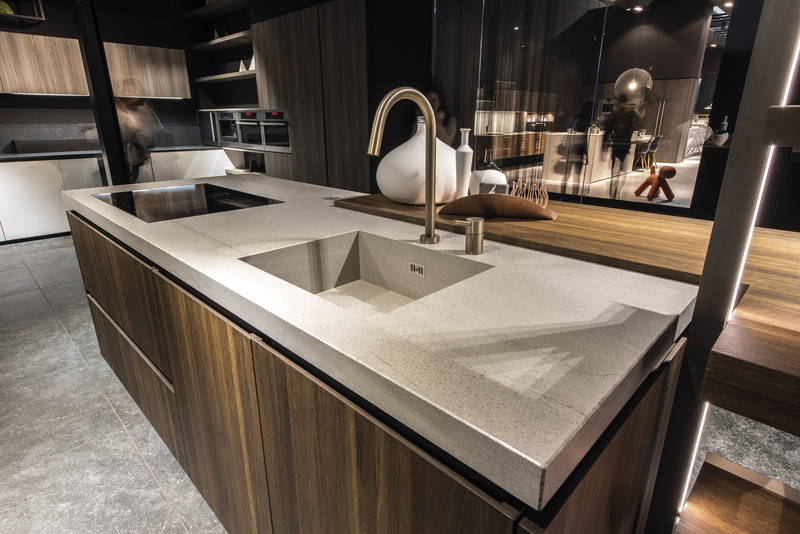 From hidden doors and sliding walls, kitchen worktops with integrated basins, vanity units, stand-alone objects, desks and furnishing accessories, every design can now benefit from the stunning beauty, flexibility and superior technical performance of porcelain. 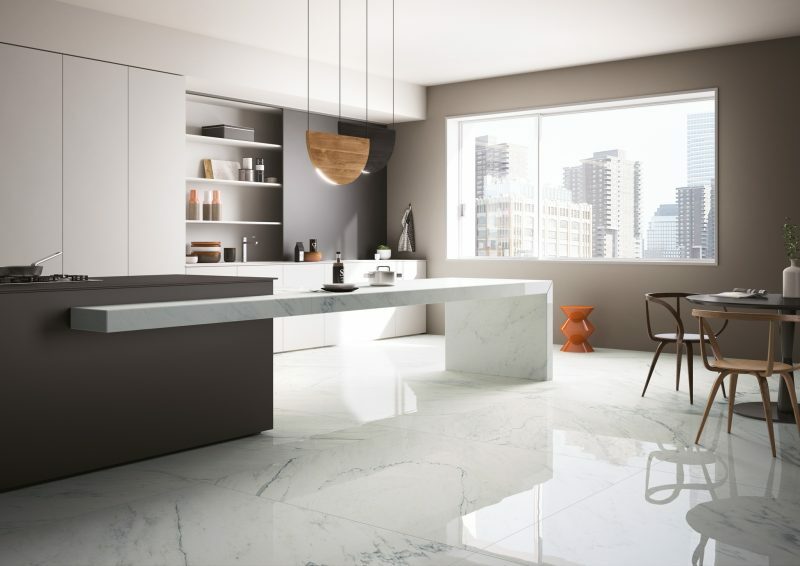 With its inherent durability and resistance to heat, porcelain provides the most aesthetic freedom of any countertop material. 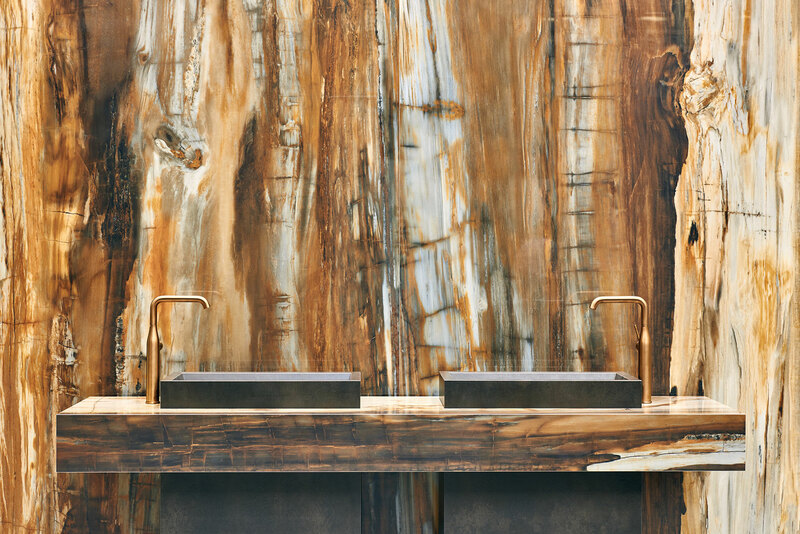 A vast range of colours and material styles, pushes creative boundaries and allows designers to bring their fabrication ideas to life. 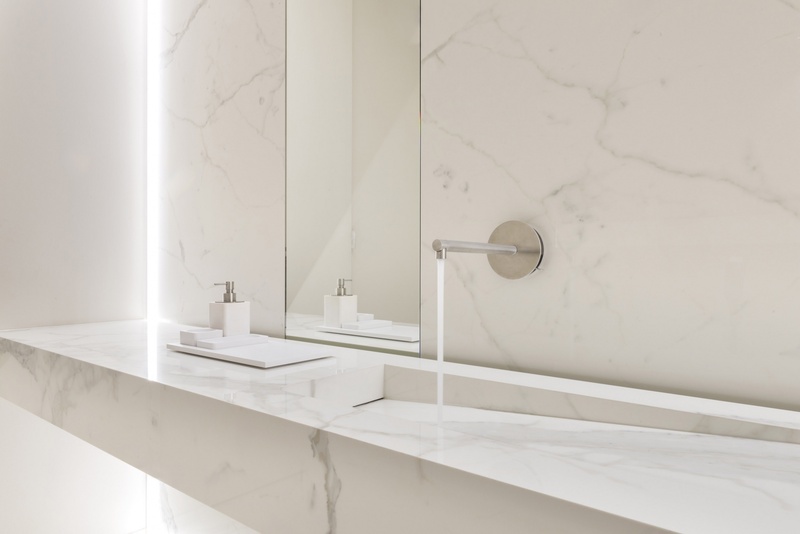 From statement baths to fitted vanity units, designers can utilise porcelain to add essential storage or to create a luxuriously indulgent space. 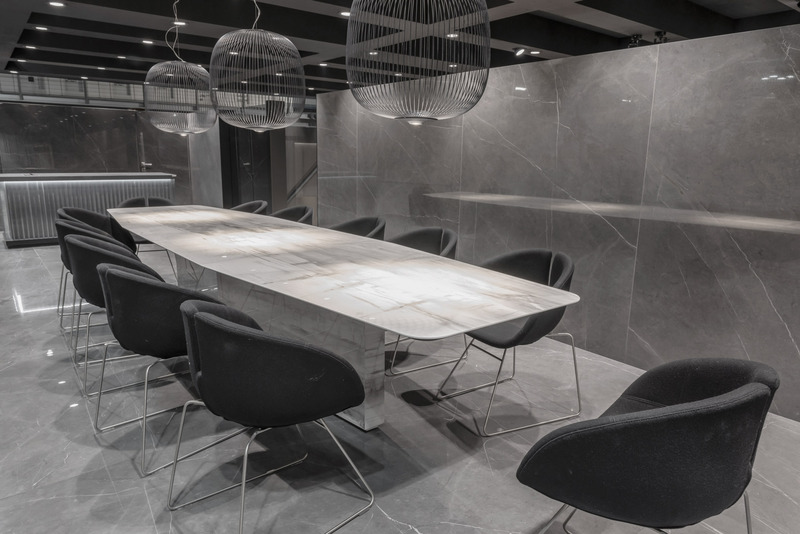 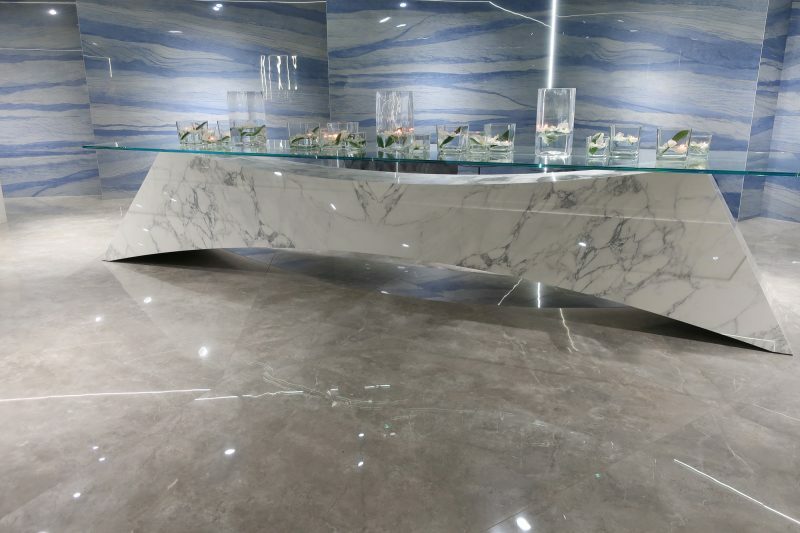 Monolithic desks, floating marble worktops, counters and reception desks, porcelain can be fabricated to virtually any size or shape. 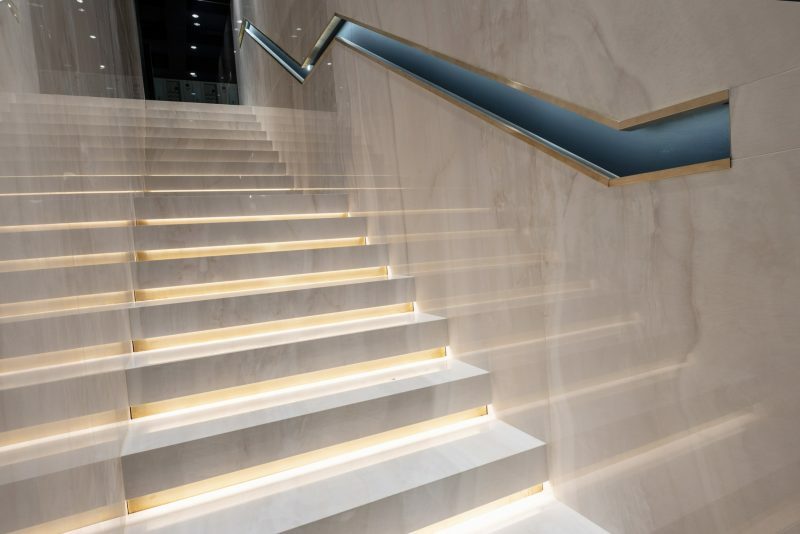 Through hidden doors and sliding walls, spectacular staircases and surface cladding, architectural designers can now incorporate porcelain into the fabric of the building.